Wedding Venue Booked? Check. Wedding Dress Bought? Check. Wedding Breakfast Selected? Check. All that's left to do now is let your hair down on the Last Fling Before the Ring! 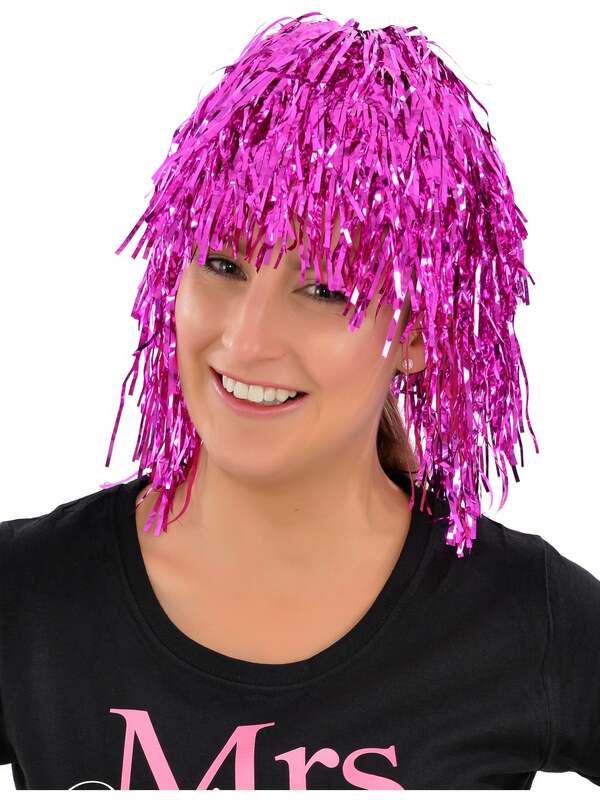 What better way than with this incredibly Hot Pink Tinsel Wig! This wig is made of the finest pink tinsel. Once on it will compliment any existing theme or tired and tested outfit. Why not add a Bride to Be T-Shirt, Fishnet Gloves and Pink Heart Shapes Sunglasses to complete your order? Hen Party Superstore offers a range of delivery options including Next Day and Saturday delivery so that you can get your perfect outfit and accessories even at short notice.